Exercise can help a person feel more relaxed and in control of a particular situation. Working up a sweat can turn around a bad day or make it feel less stressful. 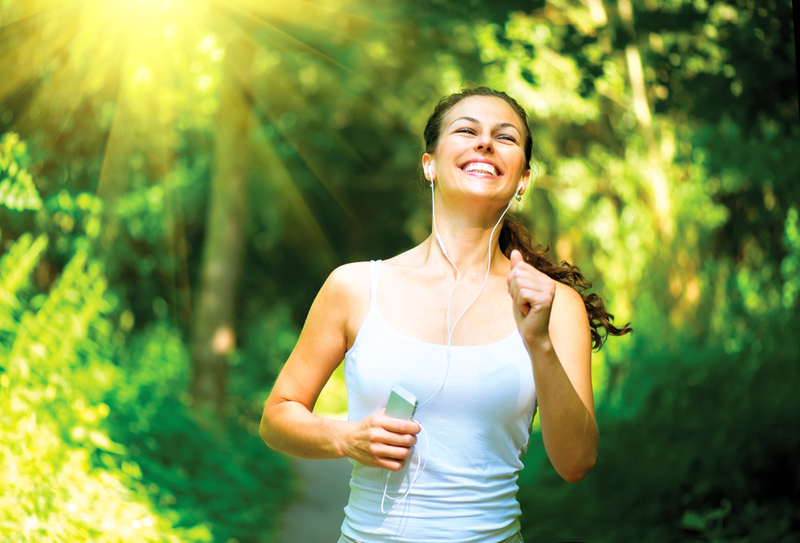 Endorphins play a role in how a person feels while working out or running. Learn about how endorphins work to people’s benefit and helps aid in recovery. Neurochemicals called endorphins are produced when the body is under stress or experiences pain. Endorphins are produced in the brain’s hypothalamus and pituitary gland. Similar to morphine, endorphins are considered natural painkillers which activate opioid receptors in the brain to minimize discomfort. Feelings of euphoria and general well-being are felt as endorphins are involved in natural reward circuits related to activities such as eating, drinking and maternal behavior. Exercise can create a huge endorphin rush, first noted almost 40 years ago. Long-distance running became quite popular in the mid 1970s, around the same time endorphins were discovered. Many reports were noted about a ‘runner’s high.’ By suppressing the experience of pain, a number of researchers put forth an idea that endorphins could be the source of the euphoric feeling after intense exercise. This is due largely to a blood-brain connection. Blood plasma endorphin levels do increase in response to stressors and pain but a study in 2003 found more severe pain can increase blood plasma endorphin levels. Exercise can have a similar effect where endorphin levels might not increase until an hour after a workout. A German study noted that, while endorphin levels are higher after a run, endorphins cannot necessarily pass through the blood-brain barrier, which means endorphins probably have little to no effect on a person experiencing a high after exercising. What does impact the brain, however, was a neurotransmitter called anandamide, which was found to be elevated after exercise and can travel from the blood to the brain. Studies have shown that serotonin or norepinephrine increases as a person exercises, sending messages throughout the nervous system. Low levels of these neurotransmitters have been linked to depression, which is more of a solid link to post-workout feelings which increase serotonin and norepinephrine. Exercise may actually help ward off depression and anxiety by enhancing the body’s ability to respond to stress. It is thought that exercise helps the body respond to stress, streamlining communication between the systems in the body involved in a stress response. The less active people become, the more challenged a person becomes in dealing with stress. It is important to find physical activity a person enjoys to help lower stress and anxiety and maybe even produce some great feelings as a positive side effect. A healthy recovery starts with the first step of admitting the need for help. If you or a loved one are struggling with addiction, call us to find out how we can support you in taking that first step to living a clean, sober life.